Ruth Crawford Seeger (July 3, 1901 – November 18, 1953), born Ruth Porter Crawford, was an American modernist composer active primarily during the 1920s and 1930s and an American folk music specialist from the late 1930s until her death. She was a prominent member of a group of American composers known as the "ultramoderns," and her music influenced later composers including Elliott Carter (Shreffler 1994). Ruth Crawford was born in East Liverpool, Ohio, the second child of Clark Crawford, a Methodist minister, and Clara Graves Crawford. The family moved several times during Crawford's childhood, living in Akron, Ohio, St. Louis, Missouri, and Muncie, Indiana. In 1912, the family moved to Jacksonville, Florida, where Clark Crawford died of tuberculosis two years later. After her husband's death, Clara Crawford opened a boarding house and struggled to maintain her family's middle class lifestyle (Tick 1997, 8–11). Ruth began writing poetry at an early age and as a teenager had aspirations to become an "authoress or poetess" (Tick 1997, 12). She also studied the piano beginning at age six. In 1913, she began piano lessons with Bertha Foster, who had founded the School of Musical Art in Jacksonville in 1908. In 1917, Ruth began to study with Madame Valborg Collett, who was a student of Agathe Grøndahl and the most prestigious teacher at Foster's School of Musical Art (Tick 1997, 15–19). After her graduation from high school in 1918, Crawford began to pursue a career as a concert pianist, continuing her studies with Collett and performing at various musical events in Jacksonville. She also became a piano teacher at Foster's school and wrote her first compositions for her young pupils in 1918 and 1919 (Tick 1997, 22–23). Crawford moved to Chicago in 1921 where she enrolled at the American Conservatory of Music, initially planning to stay for a single year, long enough to earn a teaching certificate. In Chicago, she attended symphony and opera performances for the first time as well as recitals by eminent pianists including Sergei Rachmaninoff and Arthur Rubinstein (Tick 1997, 28–29). At the Conservatory, she studied piano with Heniot Levy and Louise Robyn. Crawford's focus at the Conservatory quickly shifted from piano performance to composition. During her second year there, she began composition and theory studies with Adolf Weidig and wrote several early works, including a Nocturne for Violin and Piano (1923) and a set of theme and variations for piano (1923). Clara Crawford moved to Chicago to live with her daughter in 1923. The next year, Ruth received her bachelor's degree in music from the Conservatory and subsequently enrolled in the school's master's degree program (Tick 1997, 41–43). While Crawford continued to study theory and composition with Weidig at the American Conservatory of Music through 1929, in 1924 she also began private piano lessons with Djane Lavoie Herz. Herz, one of the most prestigious piano teachers in Chicago at the time, had a profound impact on Crawford's intellectual and musical life. Herz sparked Crawford's interest in theosophy and the music of Alexander Scriabin, and introduced her pupil to an influential community of artists and thinkers. Through Herz, Crawford met Dane Rudhyar and Henry Cowell, composers who would both have a significant impact on Crawford's music and career (Tick 1997, 44–51). During this time, Crawford also met the leading Chicago poet Carl Sandburg whose writings she eventually set to music. Crawford spent the summer of 1929 at the MacDowell Colony on a scholarship, where she began a friendship with fellow composer Marion Bauer and began work on her Five Songs set to poems by Sandburg (Tick 1997, 93–101). In the fall of that year, Crawford moved into the New York home of music patron Blanche Walton and began studying composition with Charles Seeger. In 1930, she became the first female composer to receive the Guggenheim Fellowship and went to Berlin and Paris (Hisama 2001, 3; Tick 2001). She inquired about a renewal of her fellowship several times over the course of the next year, but was ultimately refused a renewal. During that time, she interviewed Emil Hertzka to discuss publishing her music, but he said "it would be particularly hard for a woman to get anything published." Crawford subsequently travelled to Vienna and Budapest to meet with notable composers Alban Berg and Béla Bartók, respectively, to discuss her music and gain support for publication. Though surrounded by exponents of German modernism, she chose to study and compose alone. Seeger's ideas, communicated by letter, were crucial to the development of her style and selections. She and Charles Seeger married in 1932 after her subsequent trip to Paris. At the International Society for Contemporary Music Festival in Amsterdam (1933), her Three Songs for voice, oboe, percussion and strings represented the United States (Tick 2001). Crawford Seeger and her family moved to Washington, D.C., in 1936 after Charles’ appointment to the music division of the Resettlement Administration. There Crawford Seeger worked closely with John and Alan Lomax at the Archive of American Folk Song at the Library of Congress to preserve and teach American folk music. Her arrangements and interpretations of American traditional folk songs are among the most respected. These include transcriptions for American Folk Songs for Children, Animal Folk Songs for Children (1950), American Folk Songs for Christmas (1953), Our Singing Country, and Folk Song USA by John and Alan Lomax. However, she is best known for Our Singing Country (1941). She also composed "Rissolty, Rossolty"–An American Fantasy for Orchestra based on folk tunes, for the CBS radio series The American School of the Air. She briefly returned to her modernist roots in early 1952 with Suite for Wind Quintet (Tick 1997, 314–19). In 1953, she died from intestinal cancer, in Chevy Chase, Maryland. She was buried at the Springfield Cemetery in Springfield, Massachusetts (Anon. n.d.). In 1932, she married Charles Seeger. Their children, including Mike Seeger, Peggy Seeger, Barbara, Penny, and older stepson Pete Seeger, knew their mother as "Dio". Several of the children as musical artists themselves became central to the American folk revival, but they had little knowledge of their mother’s former life as a beacon of American ultramodernism (Robin 2017). The compositions that Crawford Seeger wrote in Chicago from 1924–1929 reflect the influence of Alexander Scriabin, Dane Rudhyar, and her piano teacher Djane Herz. Judith Tick calls these years Crawford Seeger's "first distinctive style period" and writes that the composer's music during this time "might be termed 'post-tonal pluralism'" (Tick 1997, 65). Her compositions from this first style period, including Five Preludes for Piano, Sonata for Violin and Piano, Suite No. 2 for Strings and Piano, and Five Songs on Sandburg Poems (1929), are marked by strident dissonance, irregular rhythms, and evocations of spirituality (Tick 1997, 65–84). Crawford Seeger's reputation as a composer rests chiefly on her New York compositions written between 1930 and 1933, which exploit dissonant counterpoint and American serial techniques. During these years Crawford began to incorporate polytonality and tone clusters into her compositions (Salzman 2002, 140). She was one of the first composers to extend serial processes to musical elements other than pitch and to develop formal plans based on serial operations (Tick 2001). Her technique may have been influenced by the music of Schoenberg, although they met only briefly during her studies in Germany. Many of her works from this period employ dissonant counterpoint, a theoretical compositional system developed by Charles Seeger and used by Henry Cowell, Johanna Beyer, and others. Seeger outlined his methodology for dissonant counterpoint in his treatise, Tradition and Experiment in (the New) Music, which he wrote with the input and assistance of Crawford during the summer of 1930 (Seeger 1994, 42). Crawford Seeger's contribution to the book was significant enough that the possibility of co-authorship was briefly raised (Tick 1997, 131–32). String Quartet 1931, particularly the third movement, is Crawford Seeger's most famous and influential work. The composer described the "underlying plan" of the third movement as "a heterophony of dynamics—a sort of counterpoint of crescendi and diminuendi. […] The melodic line grows out of this continuous increase and decrease; it is given, one tone at a time, to different instruments, and each new melodic tone is brought in at the high point in a crescendo". [a] The dynamic slides create the lengthy melody that spans the entire movement and shape the narrative arc. Andante for Strings (after String Quartet Slow Movement), 1931 ? ^ Analysis by Ruth Crawford Seeger of the third and fourth movements of the String Quartet 1931, in Tick 1997, 357–58. ^ Judith., Tick, (1997). Ruth Crawford Seeger : a composer's search for American music. New York: Oxford University Press. p. 172. ISBN 0195065093. OCLC 33246150. ^ Judith., Tick, (1997). Ruth Crawford Seeger : a composer's search for American music. New York: Oxford University Press. p. 162. ISBN 0195065093. OCLC 33246150. ^ Judith., Tick, (1997). Ruth Crawford Seeger : a composer's search for American music. New York: Oxford University Press. pp. 162–163. ISBN 0195065093. OCLC 33246150. Allen, Ray, and Ellie M. Hisama, eds. (2007). Ruth Crawford Seeger's Worlds: Innovation and Tradition in Twentieth-Century American Music. Rochester: University of Rochester Press. de Graaf, Melissa (2008). "'Never Call Us Lady Composers’: Gendered Receptions in the New York Composers’ Forum, 1935–1940." American Music 26, no. 3 (Fall): 277–308. Hisama, Ellie M. (2001). Gendering Musical Modernism: The Music of Ruth Crawford, Marion Bauer, and Miriam Gideon. Cambridge and New York: Cambridge University Press. ISBN 0-521-64030-X. Robin, William (2017). "The Pioneering Modernist Who Wrote an Audacious String Quartet". New York Times. New York. Retrieved 2018-02-25. Salzman, Eric (2002). Twentieth Century Music: An Introduction, fourth edition. Prentice Hall History of Music Series. Upper Saddle River, NJ: Prentice Hall. ISBN 0130959413. Seeger, Charles (1994). "Tradition and Experiment in (the New) Music". In Studies in Musicology: 1929–1979, edited by Ann M. Pescatello, Berkeley: University of California Press, 1994). Shreffler, Anne (1994). "Elliott Carter and His America," Sonus 14, no. 2:39 & 49. Straus, Joseph N. (1995) The Music of Ruth Crawford Seeger. Cambridge University Press. Tick, Judith (1997). Ruth Crawford Seeger: A Composer's Search for American Music. Oxford and New York: Oxford: Oxford University Press. Tick, Judith (1999). "Ruth Crawford Seeger: A Composer's Search for American Music". Ethnomusicology 43, no. 1 (Winter): 171–74. Tick, Judith, and Wayne Schneider, eds. (1993). Music for Small Orchestra (1926); Suite No. 2 for Four Strings and Piano (1929). In Music of the United States of America (MUSA) vol. 1, Madison, Wisconsin: A-R Editions. Dennis Russell Davies organized "the 1980 Cabrillo Music Festival around my [i.e. Garland's] thesis-idea of 'The American Five'", and found a supporter in Lou Harrison.The music historian Richard Taruskin notes that a group of composers including Becker, Riegger and Ruggles, and also Dane Rudhyar and Ruth Crawford Seeger, became associated with Cowell during the period when he published the magazine The New Music Quarterly (1927–1936). The magazine was financed by Ives. Taruskin (who does not use the term 'American Five' in his survey) comments that "the members [of this group] shared both a technical orientation and an expressive purpose which, like Ives's own may be jointly summed up as transcendental maximalism." American Folk Songs for Children is a studio album released by Pete Seeger in 1953 by Folkways Records. It was Seeger's first solo album. Barbara Cooney (August 6, 1917 – March 10, 2000) was an American writer and illustrator of 110 children's books, published over sixty years. She received two Caldecott Medals for her work on Chanticleer and the Fox (1958) and Ox-Cart Man (1979), and a National Book Award for Miss Rumphius (1982). Her books have been translated into 10 languages.For her contribution as a children's illustrator, Cooney was the U.S. nominee in 1994 for the biennial, international Hans Christian Andersen Award, the highest international recognition for creators of children's books. Charles Sprague "Carl" Ruggles (March 11, 1876 – October 24, 1971) was an American composer. He wrote finely crafted pieces using "dissonant counterpoint", a term coined by Charles Seeger to describe Ruggles' music. His method of atonal counterpoint was based on a non-serial technique of avoiding repeating a pitch class until a generally fixed number such as eight pitch classes intervened. He wrote painstakingly slowly so his output is quite small. Famous for his prickly personality, Ruggles was nonetheless friends with Henry Cowell, Edgard Varèse, Charles Ives, Thomas Hart Benton, Ruth Crawford Seeger, and Charles Seeger. Benton even painted Ruggles in his portrait "The Suntreader". His students include James Tenney and Merton Brown. Conductor Michael Tilson Thomas has championed Ruggles' music, recording the complete works with the Buffalo Philharmonic and occasionally performing Sun-Treader with the San Francisco Symphony. Especially later in life, Ruggles was also a prolific painter, selling hundreds of paintings during his lifetime. Carol J. Oja (born 1953 in Hibbing, Minnesota) is a musicologist and scholar of American Studies. Since 2003, she has held the post of William Powell Mason Professor at Harvard University. She is currently Chair of Harvard's Department of Music and Leonard Bernstein Scholar-in-Residence with the New York Philharmonic. Her previous appointments have been at the College of William and Mary (1997–2003) and the City University of New York (1988–97), where she was professor of music at Brooklyn College and the Graduate Center, as well as director of the Institute for Studies in American Music (1993–97). She attended St. Olaf College (B.A. ), the University of Iowa (M.A. ), and the Graduate School of the City University of New York (Ph.D.). Oja is recipient of a Guggenheim Fellowship, the Lowens Book Award from the Society for American Music, three separate ASCAP-Deems Taylor Book Awards, and an award for “Best Reference Book” from the Music Library Association. She also received the Everett S. Mendelsohn Excellence in Mentoring Award from Harvard's Graduate School of Arts and Sciences. Oja was president of the Society for American Music (2003–05), and she collaborated with Lucius Wyatt (Prairie View A&M University) to found the Cultural Diversity Committee of the American Musicological Society. Together with Judith Clurman, she directed the Harvard festival, “Leonard Bernstein: Boston to Broadway” in 2006. "Chinaman, Laundryman" is a song composed by Ruth Crawford Seeger. The song depicts the exploitation of an immigrant Chinese laundry worker. 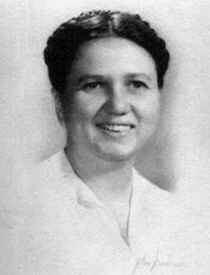 In 1932 Ruth Crawford Seeger composed two songs for a commission from the Society of Contemporary Music in Philadelphia, which she called Two Ricercari. The first, Sacco, Vanzetti is a tribute to the infamous executions of the two Italian Anarchists after whom the piece is named, in Massachusetts. The second, Chinaman, Laundryman, depicts the exploitation of an immigrant Chinese laundry worker. Both are settings of politically militant poems written in 1928 by a young Chinese author, H.T. Tsiang. When she wrote the songs, Crawford was a member of the Composer’s Collective in New York City, a group under the control of the American Communist Party, which sought to enlist art in the service of politics. "Darlin' Cory" (also "Darling Corey" or "Darling Cora") (Roud 5723) is a well-known American folk song about love, loss, and moonshine. It is similar in theme to "Little Maggie" and "The Gambling Man" but is not considered the same as those songs. Frog Peak Music is a composer's collective that produces and distributes experimental works, and functions as a home for its artists. It was co-founded in 1984 by Jody Diamond and Larry Polansky. "Frog Peak Music is dedicated to exploring innovative technologies and aesthetics of publication and distribution, and committed to the idea of availability over promotion. Member artists determine which of their own works are included in Frog Peak, and how they are included." "Frog Peak Music perpetuates and evolves the historical role of experimental independent publishing in the United States. In so doing, the collective engenders a hospitable publication environment for its members, and provides an example of some of the ways that artists might control their own work in a non-commercial, non-hierarchical fashion, erasing distinctions between artist and publisher." "FP carries scores, recordings, writings and other works by hundreds of artists internationally. Frog Peak Music also has a CD label and several publications, including James Tenney's Meta + Hodos, John Chalmers' Divisions of the Tetrachord, and several others." Frog Peak has published editions of the works of Johanna Magdalena Beyer, Ruth Crawford Seeger, and an on-line web-book, Janet and Her Dear Pheobe, written by Henry Cowell's mother (Clarissa Dixon). "Good Shepherd" is a traditional song, best known as recorded by Jefferson Airplane on their 1969 album Volunteers. It was arranged and sung by the group's lead guitarist Jorma Kaukonen, who described their interpretation of it as psychedelic folk-rock. Called by nearly a dozen different names and with varying words, melodies and purpose but common themes, the song's history reflects many of the evolutionary changes and cross-currents of American music. It begins early in the 19th century with a backwoods preacher who wrote hymns, persists through that century, manifests itself in a 1930s gospel blues recording done in a prison by a blind inmate convicted of murder, and sees use in the 1950s as a folk song, before attaining its realization by Jefferson Airplane. Several of these different variants of the song are still performed in the 21st century. Johanna Magdalena Beyer (July 11, 1888 – January 9, 1944) was a German-American composer and pianist. Mike Seeger (August 15, 1933 – August 7, 2009) was an American folk musician and folklorist. He was a distinctive singer and an accomplished musician who played autoharp, banjo, fiddle, dulcimer, guitar, mouth harp, mandolin, dobro, jaw harp, and pan pipes. Seeger, a half-brother of Pete Seeger, produced more than 30 documentary recordings, and performed in more than 40 other recordings. He desired to make known the caretakers of culture that inspired and taught him. "Aunt" Samantha Bumgarner (October 31, 1878 - December 24, 1960) was an American acclaimed early country and folk music performer and singer from Dillsboro, North Carolina. She won much praise for her work with the fiddle and banjo. In 1924, accompanied by guitarist Eva Davis, she traveled to New York City and recorded about a dozen songs for Columbia Records. The recordings are also notable for being the first use of a 5-string banjo on a recording. She was a yearly staple at Bascom Lamar Lunsford's Mountain Dance and Folk Festival from 1928 until shortly before her death. Folksinger Pete Seeger attended Lunsford's festival in 1935 at the age of 16 in the company of his father, musicologist and composer Charles Seeger, then working for the music division of the WPA, and his stepmother, noted modernist composer Ruth Crawford Seeger, and would have heard Bumgarner perform there. Seeger has credited Bumgarner as his inspiration for wanting to learn the five-string banjo. "He learned (he says) to play the banjo after first hearing one played by a mountain girl named Samantha Bumgarten [sic]—came from the Great Smokies"
Seeger is the surname of various people, including an extended family of American musicians. String Quartet No. 2 (1954) is the second of six chamber-music works in the string quartet medium by the American composer Milton Babbitt. According to the musicologist Judith Tick:As a populist poet, Sandburg bestowed a powerful dignity on what the ’20s called the "American scene" in a book he called a "ragbag of stripes and streaks of color from nearly all ends of the earth ... rich with the diversity of the United States." Reviewed widely in journals ranging from the New Masses to Modern Music, The American Songbag influenced a number of musicians. Pete Seeger, who calls it a "landmark", saw it "almost as soon as it came out." The composer Elie Siegmeister took it to Paris with him in 1927, and he and his wife Hannah "were always singing these songs. That was home. That was where we belonged." The Composers String Quartet was a string quartet best known for performances of new works by contemporary composers, including quartets by Elliott Carter and Ruth Crawford Seeger. Carter's Fourth Quartet was dedicated to the Composers Quartet, who premiered the work in 1986. The group has performed quartets by more than 60 American composers, and has toured abroad extensively.The quartet was founded in 1965, and remained active until the late 1990s. During the early 1970s it was the quartet-in-residence at New England Conservatory, where it sponsored a biennial composition prize. In 1975 the group became the quartet-in-residence at Columbia University, remaining at Columbia for at least two decades. Vivian Fine (28 September 1913 - 20 March 2000) was an American composer.